We are a family owned and run Child Care Centre located 81 Sherridon Crescent, Quakers Hill. 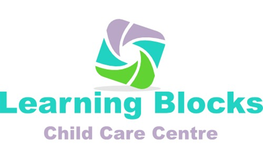 Learning Blocks is designed to promote an intimate and nurturing environment for your child. We pride ourselves on providing an environment that is safe, clean and which educates and promotes a love of learning within children through planned and spontaneous experiences which help each child reach their full potential. Offering child care for children 0-6 years of age.